“I have been teaching for past 20 years and have participated in many teaching aid workshops and trainings conducted by various entities providing educational support. However, I found the Integrated Pedagogical Paradigm (IPP) training provided by NJSI to be different from the rest. It encouraged us to develop value of subject matter while transferring knowledge to our students”, said Mr. Rajendra Prasad Pangeni from Maha Laxmi Secondary School, Lalitpur after two days of IPP training conducted on 25 to 26 August 2018 at NJSI office, Bakhundole, Lalitpur. 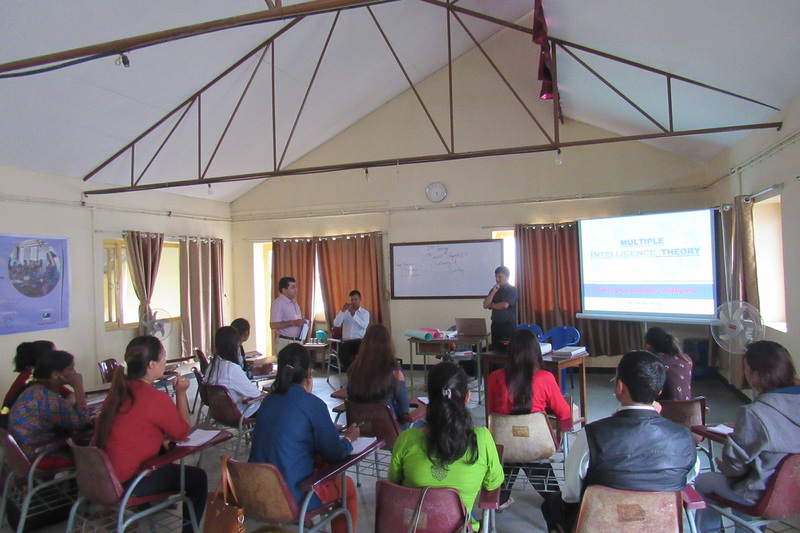 18 teachers from 7 schools of Kathmandu and Lalitpur districts participated in the training program. 3 teachers from St. Xavier’s School, Jawalakhel who have been trained and highly experienced on IPP led and facilitated the program. Mrs. Mamta Maharjan, a teacher from Bhanudaya Basic School, Lalitpur said, “It was a great platform for me to learn new things about lesson planning and counselling. I liked the way we were asked to do counselling different from the traditional way we have been following. Overall, I found this training very effective”. Mr. Pangeni complemented, “I find this training and the works of NJSI in the education sector fruitful and praise worthy”. NJSI has been supporting Jaretar’s women from the beginning. We have had conducted various skill training activities and advocacy programs. Most of the women participants are from Danuwar and Tamang communities. They have received basic to advance tailoring course, soap making training, etc. 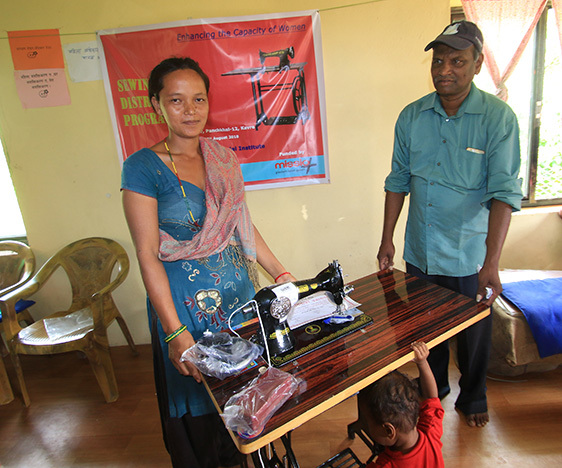 NJSI has given 25 tailoring machines and other accessories to the women who completed the tailoring training, on 25th August 2018. This occasion was also an opportunity for them to be instructed more on how to run micro-credit cooperate society by themselves. NJSI will be supporting them with marketing training so that they can utilize the skills obtained from the training for advancing their income. This will include getting them in contact with clothe production companies who could supply raw materials and get their skilled labor to manufacture clothes for the company, while get paid for their labor. This presuppose further advanced training based on the designs required by the companies. The women group was very happy and excited about the support from NJSI and the Mission Achen who funded the tailoring machines. It’s another month of medical checkup for our beloved children residing at Susta Manasthiti Purnasthapana Kendra at Kharelthok, Kavre. Wellbeing of these children is a crucial concern for NJSI. This time, Dr. Anil Ojha, who has specialized as development pediatrician from Australia examined health condition of our 20 children on 22nd August 2018. He monitored and explained the needs of each child to their parents and the caretaker of the center, Ms. Sudha Silwal. 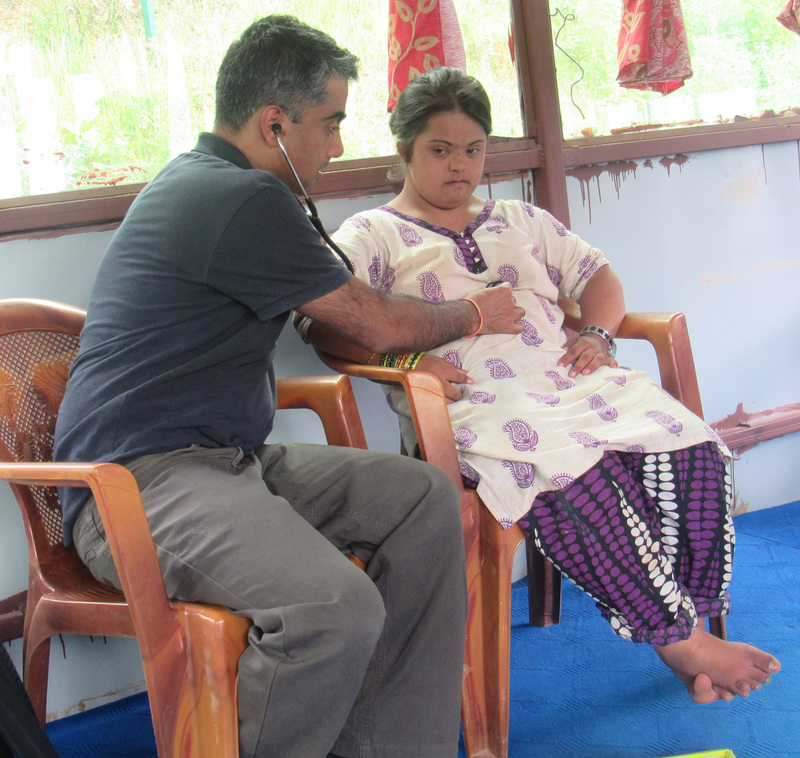 He has recommended regular speech therapy, physiotherapy, intake of protein rich food and thyroid examination. NJSI looks forward to maintaining better health of these children and is thankful to Caritas Italy for their compassionate support. 100 students attend Narayansthan Basic School located at Panchkhal, Kavre. Almost all of them come from poor family, unable to support even the basic educational supplies. They come to school in torn clothes carrying old books and notebooks in the bags stitched at every corner. Poverty has also led to dropout of many students at the school. With the support of Xavier Network, NJSI distributed 100 school uniforms, tracksuits, bags, sharpeners and erasers each, 1500 notebooks, 1200 pencils, 8 white boards and 58 geometry boxes on 17th August 2018. The students happily loaded their new bags with these materials. NJSI is hopeful that having adequate educational supplies, they will be motivated to continually attend the school and study diligently. The principal of the school, Tika Bahadur Kafle, thanks NJSI for the support and anticipates further engagement in enhancing the quality of education at the school. 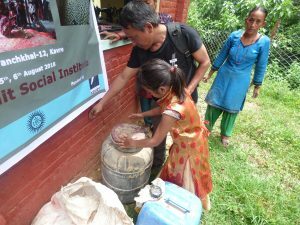 Soap making training has been another successive vocational training program of NJSI. 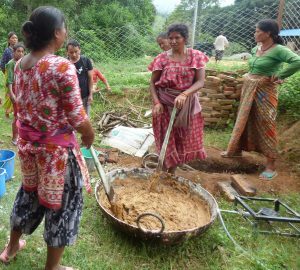 NJSI held yet another soap making training for three days on 4th, 5th, and 6th of August at Jaretar, Kavre. 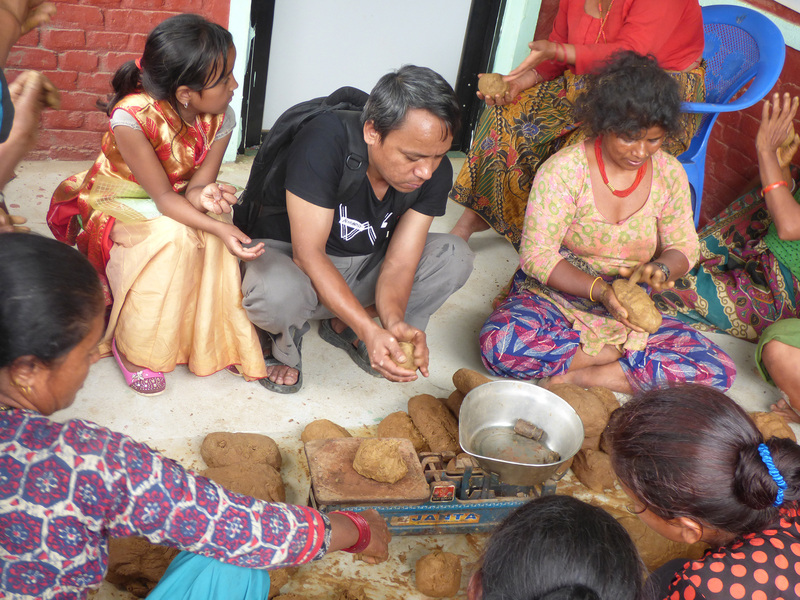 It was an advance soap making training provided to 30 women; most were from Danuwar community. The trainees didn’t only learn about easily accessible raw materials to make soap and their quality and quantity, but also were inspired by the trainer. 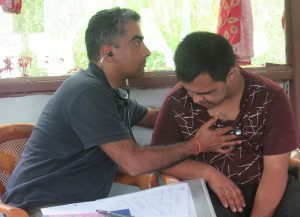 The whole crowd was impressed with the trainer, Rajiv Tamang who was visually impaired. He has been giving similar vocational training programs since 2015. He understood the raw materials and their quality with his fine touch. The trainees were mesmerized with his aspiration. His eleven years old daughter proudly stood beside him supporting throughout the training program. The trainees were motivated to enhance their capacity by utilizing the healthy body they were blessed with. In his guidance, the trainees were able to produce 566 packets of soap each containing 3 spherical shaped soaps. They intend to sell each packet at hundred rupees to local people through their own women cooperation. They want to utilize the thus earned income on further production of soap. Now they need to learn marketing techniques so that they can promote such home made products in local and larger markets. NJSI is thankful to Mr. Rajiv Tamang and Xavier Network for their contribution on this vocational and transformational program. “The team of NJSI taught our students morale we were unable to pull together for last ten years. 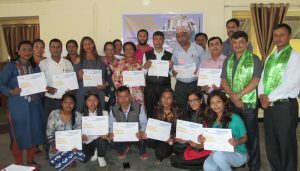 They have comprehensively addressed the importance of morality, personal development using practical, behavioral, environmental and skill developmental approach”, says Ram Narayan Shrestha, the principal of Azad Secondary School while sharing his feedback on the three days Personal Development Camp conducted at the school on 28th, 29th and 30th of July 2018. Self-Development Camps has been one of the fruitful educational intervention showing immediate impact of the action on the students and school. Students responded that now they can identify their own strengths and interests, different career and scholarship options and critically think about their aspirations. A student of grade 10 Jayandra Prakash says that after learning about various career options, he now wants to become a Social Worker. One of the interesting segment of the camp was formation of Eco Club and school cleaning campaign as the first project of the club. Students collected piles of plastic and other rubbish from around the vicinity of the school. Another Eco club was also established in Maha Laxmi Secondary School, Lalitpur on 3rd August 2018. Students are given the responsibility to lead the club to preserve environment around their schools and community. A student of Azad School, Santosh Bhandari says, “I learnt to conserve rare plants and animals and will protect the environment from pollution and share the knowledge with other people as well”. The facilitating team was awestruck with the enthusiastic participation of the students. With proper guidance and platform, they can convert their potential into meaningful impact.